What would you do if you knew you only had months or even weeks left to live? What if you only had one day? But what if…you could live that day as many times as you needed to in order to get your life in order? 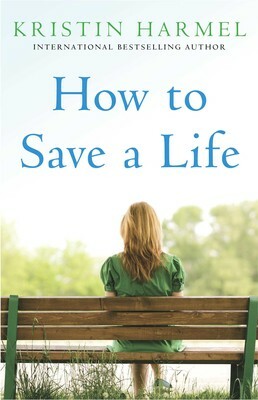 That’s the situation in which Jill, a pediatric oncology nurse, finds herself at the beginning of Kristin Harmel’s moving-funny-weepy-hopeful new e-novella, How to Save a Life. Although she’s had to sit with families many times as they learned that their kids were ill with the dreaded “c-word,” Jill’s still not prepared to hear the diagnosis herself. 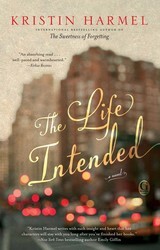 When she finds out she has only a couple of months left to live, she’s filled with regret for all the things she hasn’t yet done–met a husband, had a child, reconciled with her distant father…But with the help of some very special patients on her ward–and perhaps a little magic–Jill finds that she might just have more time than she thinks. Read on for an excerpt from How to Save a Life, available now–and if you move fast, you can purchase this novella for only 99 cents! The doors slide open into the lobby before I can reply, and Logan grabs my hand and pulls me out. He leads me straight to the gnarled, beautiful tree in the middle of the atrium. Despite myself, I glance around, looking for the cute groundskeeper from earlier, but he’s nowhere to be seen, and his gardening tools seem to have vanished. He smiles, and without answering me, he takes a small step forward, reaches out to touch the narrow trunk of the tree, and closes his eyes. “One day more,” he murmurs. Nothing happens. I raise my eyebrows at him as he smiles and backs away. A handful of leaves flutter to the ground. He nods toward the tree. “Your turn to ask it for another day,” he says like it’s the most obvious thing in the world. “Very observant. Come on. Do it.” His eyes are bright, and he looks happy, but he’s not making sense. I put a hand on his forehead, expecting to feel the heat of a fever, but his skin is cool. “One day more?” I repeat dubiously. “Jill, just do it.” His tone is firm, and because he’s beginning to look upset and I don’t want to be responsible for making his blood pressure rise, I shrug and lean forward, placing my right hand on the tree. I’m surprised for a second how smooth the bark feels against my skin. “Do it!” Logan urges again. I sigh. “One day more,” I say quickly. The tree seems to vibrate for a millisecond, and I pull my hand away, surprised. Several leaves flutter to the ground, and Logan counts them, his face clouding over. “What’s wrong?” I ask him. “Nothing,” he says as he looks up at me, but I have the feeling he’s not being honest. “What was that all about?” I ask him. But he doesn’t reply. He’s staring at the tree with a puzzled frown. 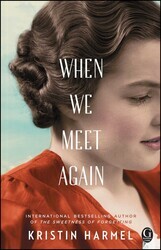 Kristin Harmel is the internationally bestselling author of several novels, including The Sweetness of Forgetting, The Life Intended, and the upcoming When We Meet Again. Loved this novella! Such a beautiful read. 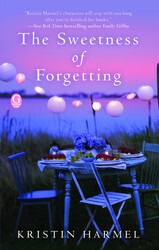 Definitely adding this one to my TBR list! !